'Dolphin's Reach' is the oceanfront getaway you've dreamed about! With its amazing ocean views and convenient beach walkover, its no surprise this home has a great rental history with many clients returning year after year--a great rental property with over 10% ROI! The ground floor features a fun game room thats a perfect hangout for kids, a large covered deck, an outside shower, fish cleaning table and a storage room for your beach and fishing gear. The second level has a luxurious oceanfront master king bedroom with ensuite bath, a walk-in closet and a sun deck! Also on this level is an oceanfront queen bedroom with deck, a third bedroom that sleeps 3, a full bathroom, and a laundry room. A hot tub on this level overlooks the ocean. 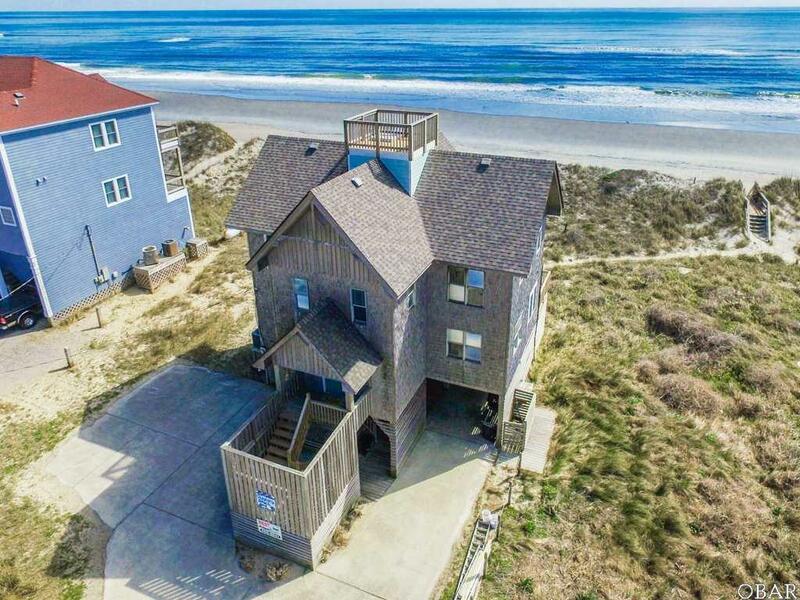 Watch the dolphins frolic from the top floor with its breathtaking views of the ocean, Cape Hatteras Light, and the sound. This level has a fourth (queen) bedroom, a full bathroom, an open and spacious living area, well-equipped kitchen with a breakfast bar, and a family-sized dining room with a sliding glass door to the upper deck. Many recent updates make this a don't-miss opportunity!